Would you try this caramel-flavored superfood? Introducing, the lucuma fruit from Peru. Avocados are everywhere these days: spread on brunch toast, paired with chips, blended into cold drinks — even added to chocolate bars. Now there’s a new Peruvian superfood that looks like the avocado’s half-sibling. It’s called lucuma (loo-coo-ma), and it’s known as the "gold of the Incas." [post_ads]Lucuma spoils quickly and has a green peel, an orange inside and a seed that resembles one found in an avocado. It comes in many forms: frozen — lucuma ice cream is a Peruvian favorite — fresh and ground into powder. The fresh fruit is hard to find in the U.S. and is more commonly seen on foodstore shelves as a powder, sold by brands like Navitas Naturals and Moon Juice. It’s promoted as a sweetener — though one Metro staffer said her experience with powder made from the fruit wasn’t so sweet (instead, it was rather bitter). According to Bloomberg, the Incas also believed it enhanced fertility. 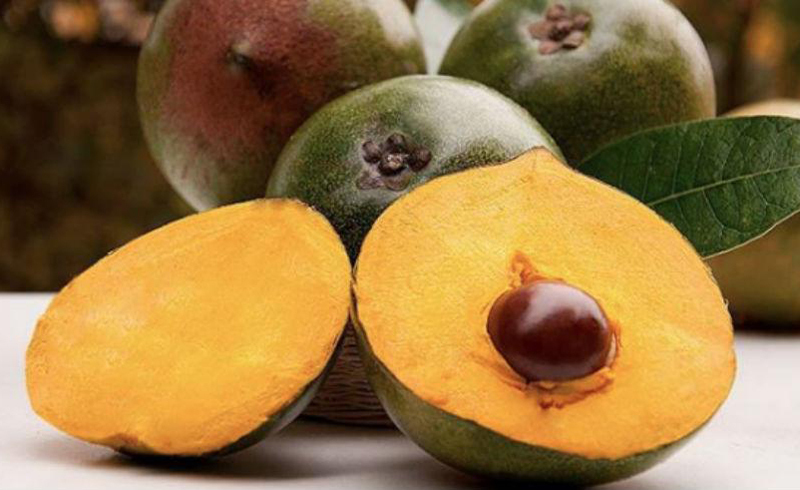 This Peruvian fruit is high in beta-carotene, iron, fiber, zinc, calcium and protein. Antioxidants promote heart, immune and skin health. Moon Juice advertises their powder as containing "antioxidant properties and vital health-boosting nutrients, including essential trace minerals and beta-carotene, to support beauty, skin and energy." Not only is it a superfood, but Moon Juice calls it a "skin food." Some say it has a caramel flavor; others say it’s maple-like. In the case of the Moon Juice lucuma powder I tried, it’s advertised as both: "A maple, caramel flavor [that] pairs well with everything!" "It’s tasty, starchy flesh melts in your mouth with a custardy like flavor," states a design company named after the fruit. The only way to know for sure was to give it a taste. When I bought Moon Juice lucuma powder (which you can also find online), the cashier told me that he puts it in his matcha every morning. In fact, he "loves it." The powder smells just how you’d expect the Vitamin Shoppe to smell like on a hot day if the AC stopped working: earthy and, well, vitamin-y. In terms of taste, I’ll try to keep this simple: lucuma didn’t do it for me. I mixed the powder with two separate cups of coffee: caramel vanilla and breakfast blend. Naturally, the flavors of the first cup seemed to mask the lucuma. In the breakfast blend cup, the powder left a bitter aftertaste (my co-worker was right). Like protein powder, perhaps you need to experiment to get the right ratio of powder to liquid so that you don't have to uncomfortably chug down your drink. Moon Juice advertises lucuma as blending well in "smoothies, coffee, tea, tonics, milks and baking." So, I might not give up on our orange avocado doppelgänger quite yet. You can buy the powder on Amazon, and you can reportedly find it at Whole Foods and Walmart in a variety of forms — powder and this bag of frozen pulp, for example. I bought my sample ($24) at NYC's Clover Grocery near the West 4th street station. 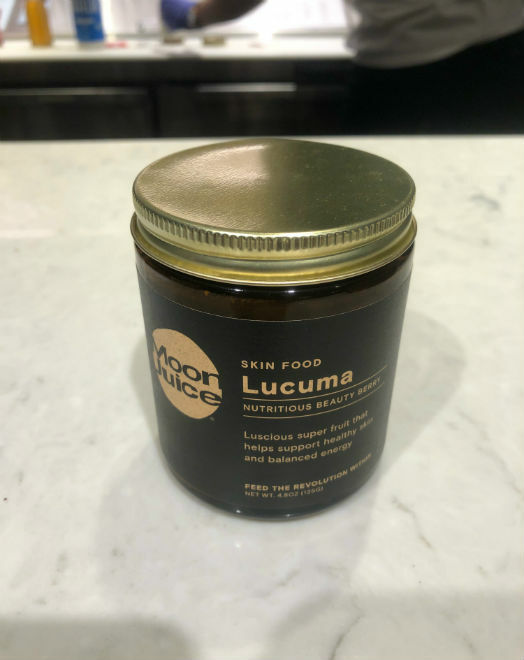 Bloomberg reported that you can also get lucuma as a booster at the city's Pure Green juice bar locations, but a representative told Metro that they aren’t currently offering the fruit. Brooklyn’s Llama Inn serves a dessert that sounds delicious. As Bloomberg describes, chef Erik Ramirez composes a "creamy lucuma mousse with milk chocolate sauce, crumbled chocolate cookies and dehydrated milk wafers." Ramirez said he'll also be featuring lucuma-oriented dishes at an upcoming rotisserie chicken spot, Llamita, coming to the West Village. If you want to find restaurants that serve fresh lucuma, check out this Yelp page. Here’s to trying new things but still not giving up on our dear friend avocado — because, though you shouldn’t knock lucuma till you try it, guac’s star ingredient sure does taste good every time.